Along with the 4 elements, Fire – Water – Earth – Air, that are known by most people, there is also a fifth element which is called Aether. 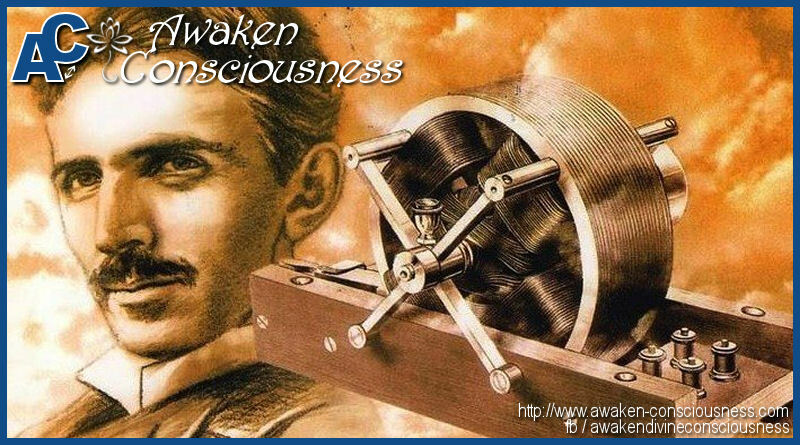 Nikola Tesla was a genius inventor who was able harness this Aether force and convert it into usable electricity. A force that is abundantly and freely available to all humanity. Unfortunately this society is economy driven and everything possible is being monetized, or if not possible, patented and sealed in a safe and hidden from humanity. Luckily there are more inventive people on this earth who are trying to harvest this Aether Force, and with success. Free Energy devices are on the verge of breakthrough, no matter if the oil industry doesn’t like it.